The apartments are located in a private house. We offer four apartments 2+2. 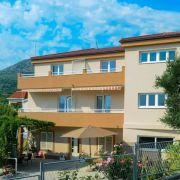 Each apartment has one bedroom for … More » 2 persons, bathroom and kitchen with bed for 2 persons. 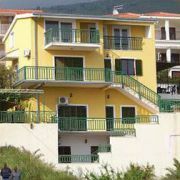 Each apartment has also balcony, own entrance and parking place. Air conditioning, cable TV, Wi-fi. 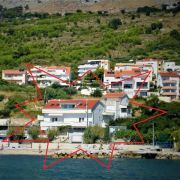 House with 5 apartments, 30m from the sea. The apartments have 3 stars and each is equipped with a double bed and … More » 2 extra beds. Garage parking for cars, terrace, barbecue, Wi-Fi, TV/sat, sunbeds by the sea. The possibility of accommodating groups of tourists. There are two boats.